The Hopper Ash Level Thermocouple (HALT) System is a preventative maintenance tool that continually monitors the levels of ash within any given instrumented hopper. The HALT system consists of a Stainless Steel enclosure that houses an industrial controller and a series of industrial grade thermocouple sensors installed at equal increments along the wall of each hopper. 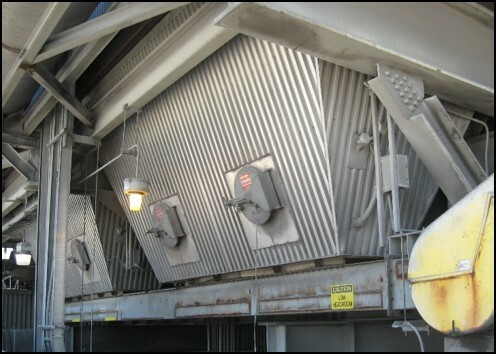 As the hopper plugs and the ash levels increase, the thermocouples will become insulated by the ash and their respective temperatures will decrease thus providing an indicator for the ash level within the hopper.